Gov. 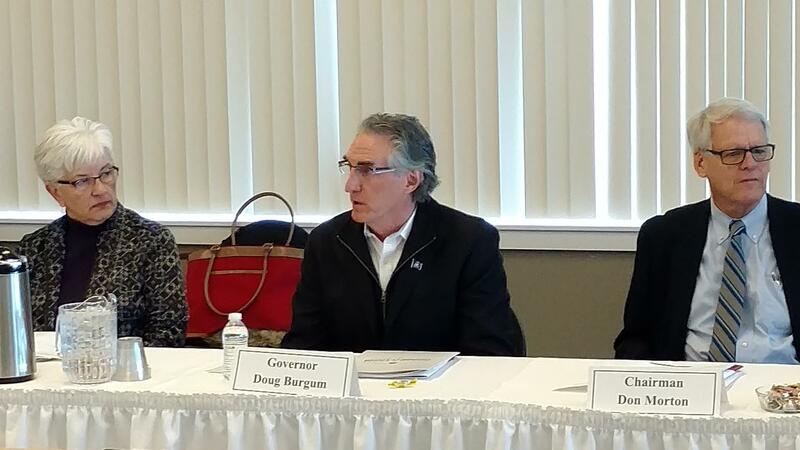 Doug Burgum (center); Sen. Joan Heackaman (D-New Rockford) and Board of Higher Education president Don Morton at the Higher Education Governance Task Force meeting at Bismarck State College. "This is not about closing campuses," Burgum told the task force. "The mission of this group is how do we create a structure to allow our two-year, our four-year and our research universities to flourish in this new environment." "Are you going to have the educated and skilled workforce you will need to have a successful economy?" Isaak said in an interview. "Any conversations about higher education should be framed with, 'How are we going to use our higher education enterprise to insure we have that educated and skilled citizenry we're going to need?'" The task force plans to meet monthly. Gov. 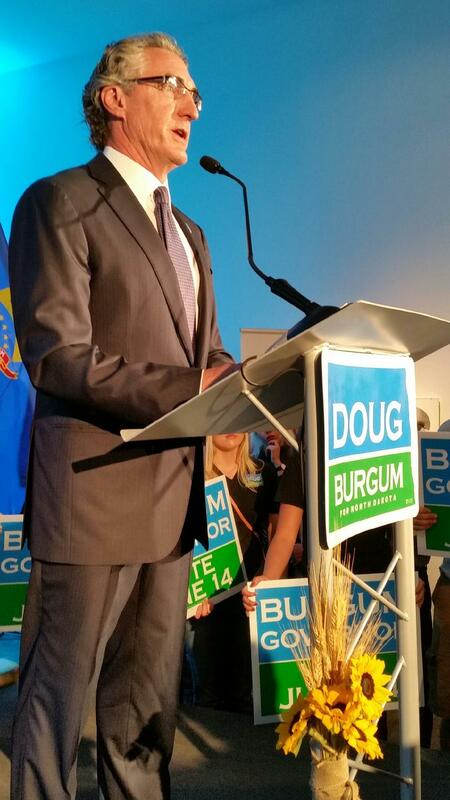 Doug Burgum has made 14 appointments to the Higher Education Governance Task Force. Among the 14 are four state Legislators. Sen. Brad Bekkedahl (R-Williston) said he applied to be on the task force because higher education is important to the northwestern part of North Dakota. Bekkedahl said he has no preconceived notions about governance. "The model last changed about 80 years ago," Bekkedahl said. "It's probably not a bad thing to look at it." Bekkedahl said it doesn't mean there will be changes. But he said there could be down the road.